THOMAS E. CARROLL received his B.S. degree in 1969 and his M.A. degree in 1971 from Western Kentucky University. Following graduation from Western Kentucky University he taught advanced Math, Physics and Chemistry at Caverna High School, Horse Cave, Kentucky and Northview Junior High in Indianapolis, Indiana. Mr. Carroll enrolled at University of Louisville College of Law in 1972 and received his J.D. in 1974. Mr. Carroll began his practice of law as a junior partner in the firm of Lovelace, Carroll & Peck, located in Albany, Kentucky. He has practiced law both in Monticello and Albany, Kentucky since 1975. During this time, he has served as Assistant Commonwealth Attorney and Wayne County Attorney. Mr. Carroll has over 20 years of experience as a trial attorney and his practice is concentrated in the areas of plaintiff's personal injury, bad faith, medical negligence, products liability, wrongful death claims and criminal defense. Mr. Carroll is admitted to practice as a member of the Kentucky Bar Association, U.S. District Court for Eastern and Western Districts of Kentucky, United States Court of Appeals for the Sixth Circuit, U.S. Claims Court, and Supreme Court of the United States. 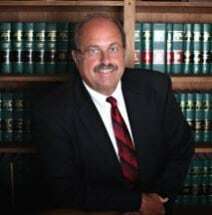 Mr. Carroll is a member of the American Bar Association, Kentucky Academy of Trial Attorneys Board of Governors, Southern Trial Lawyers Association, American Trial Lawyers Association, National Association of Criminal Defense Lawyers and Kentucky Association of Criminal Defense Lawyers.